Quebec City is a beautiful region of Canada that’s full of heritage, culture, and activities for everyone in the family. It’s one of the more popular vacation destinations when visiting Quebec, next to Montreal, and when you visit, you’ll want to be sure that you include the essentials during your stay. Be sure to bring a French phrasebook, as little English is spoken in this city. This is the one region in Canada where signs are not required to be bilingual, so they’ll only be worded in French. You should be able to know enough to order a meal or purchase some souvenirs, but in the worse scenario, just hand over your money, and they’ll take care of the rest for you. The majestic Chateau Frontenac in Quebec City at night. 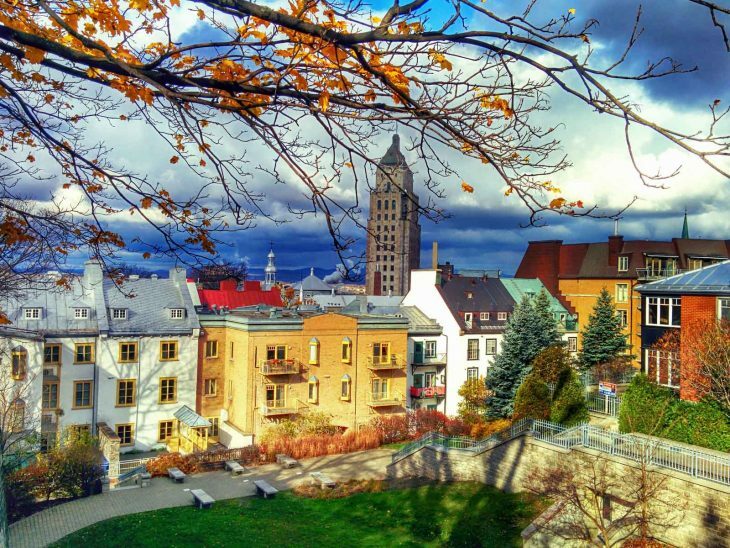 Here are ten top highlights of Quebec City that you’ll want to be sure to fit in, during your stay to this historical region. You’ll want to head to the older part of this city to see many of the heritage sights and older buildings. What’s so great about this area is that most of the must-see attractions are within walking distance of each other, so you won’t need to drive around. In fact, in the older part of the city, driving is discouraged, as the roads are cobblestoned, and there’s not a lot of parking, or even space to drive around. Riding a bicycle around the old town is a great way to see it, so take advantage of any bicycle rental shops you see along the way. Take a walk along the Promenade to get a breath of fresh air, and some much needed exercise. You’ll find plenty to hold your interest, as you walk along the path. If you go in winter, the snow and ice covering the river is quite pretty. The Vieux-Port de Quebec is quite busy with port trade activities and cruise ship traffic. You may even be able to hop on a small boat cruise to see the city from the river. If you book in advance, you’ll be able to enjoy a dinner cruise with real French cuisine. Check out this open air art gallery, where you can see the latest up and coming artists and purchase some new art for your wall. Rue du Tresor means “Treasure Street” and was founded by art students back in the 1960s. They’ve managed to keep it going during all these years. You’ll be surprised when you see that the art gallery flows along a narrow out of the way alleyway. It’s quite a popular gathering place for artists to meet. Quebec is the only city north of Mexico that still has its original fortifications. Old Quebec City is inside the walls, while the newer part of the city is outside the wall. Here you can walk around and follow walls and gates that are a combined total of 4.6 km long. There’s plenty of photo opportunities with cannons, a star-shaped Citadel and Artillery Park. You can get a great workout simply walking around and checking out the old fortifications of Quebec City. If you’re in the mood for strolling, this district is perfect for window shopping, browsing the art galleries, and catching a bite to eat, all while enjoying the period buildings, and cobblestoned streets. You can find fashionable clothing in a wide range of price points, and purchase handmade gifts or find tacky tourist souvenirs in the shops along the streets. As you walk along the streets of Old Quebec City, you’ll discover that there are many creperies scattered along the roads. Be sure to stop at least at one creperie to sample the crepes, which can be enjoyed for breakfast, lunch, dinner, or dessert. The chefs make the crepes right in front of you, and are basically like a very flat pancake, but contain a higher percentage of egg. Vegetables, meat and cheese are added to dinner crepes, while fruit, ice cream, and whipped cream turns crepes into a dessert. Even if you’re not Catholic you’ll want to check out this ornate church, full of history, and architecture. The church was built in neo-Roman style, and contains a collection of fine art. Its original shrine was created over 350 years ago. This church is full of beautiful stained glass windows, and a nave, and has a large gift shop where you can buy some unique gifts for the family. You’ll also want to ensure that you take plenty of photographs of its elaborate exterior. Here a big battle was fought in 1759, between the French and the English, led by General James Wolfe and the Marquis de Montcalm. The English won, and Quebec was surrendered to the English. The Plains remain as a park where you can enjoy many outdoor activities. This protected site is also one of the world’s largest parks. Despite the takeover, Quebec has managed to retain most of its distinct French culture. Visit the hill to see where Quebec’s parliamentarians lead the province. The Fountain de Tourny won a Paris World Fair gold medal in 1855, and still works to this day with 43 water jets, water sculptures and bright evening lighting. At the Observatoire de Capitale you can enjoy views of the city from a height of 221 metres. Head to the suburbs of the city to visit one of the many maple syrup farms. Here you’ll enjoy a delicious meal, complete with plenty of maple sugar. Pancakes, eggs, and bacon are on the menu, and the French enjoy pouring maple syrup on everything that’s edible. For dessert, it’s more maple syrup. Head outdoors, where they pour maple syrup over snow, to create maple syrup candy. There’s also the opportunity to buy plenty of maple syrup and maple butter to bring home as gifts. Wikipedia´s page about Quebec City is very informative and Quebec Tourism Board has a great page, if you want to know more. 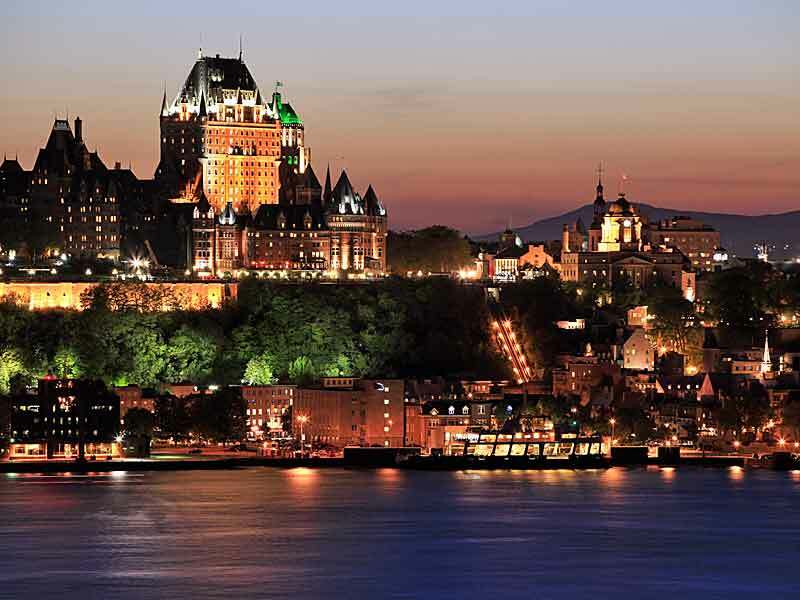 Do you have more favourites, tips and comments about Quebec City? Please share via email, in the comments below, on Twitter, Facebook or Google+. The 20 Most Beautiful Villas in Italy – In a Book! Some Airport Stories For Your Entertainment.